Everything is ready! I’ve made a stand for the hive out of bits timber we had in the shed. A quick coat of paint and all is ready for the bees. It’s been a long wait for bees. There were about 22 of us on the beekeeping course, all of whom want a colony of bees. It’s been an exceptionally bad year for bees with beekeepers having to feed their bees already. 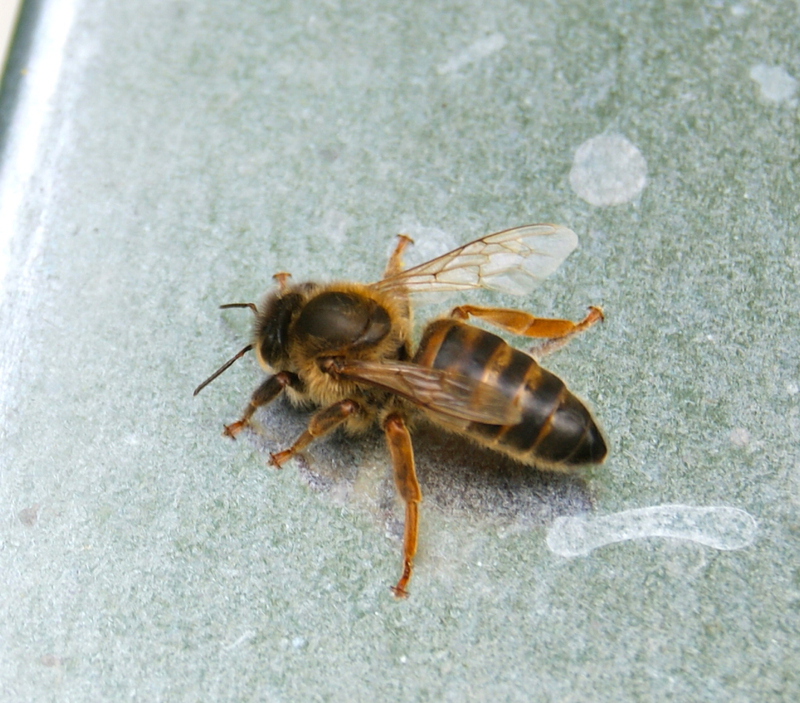 However, the wait is over as the local bee inspector is coming tomorrow morning with a nucleus (a small colony) of bees. Not quite sure yet where in the garden to put the hive but I’m sure I’ll have some good advice on what would be best. No honey this year but the colony will grow large enough to survive the winter and produce a good crop next year. Here is all the kit, with a bit of explanation of what’s what. Once the boxes (brood box and supers) are assembled, the next step is to assemble the frames. The frames are where the bees make the wax comb. In order to get them to build the comb so it’s easier for the beekeeper to manage, a sheet of wax foundation is fitted into a frame and the bees then add wax to it to build up their cells. 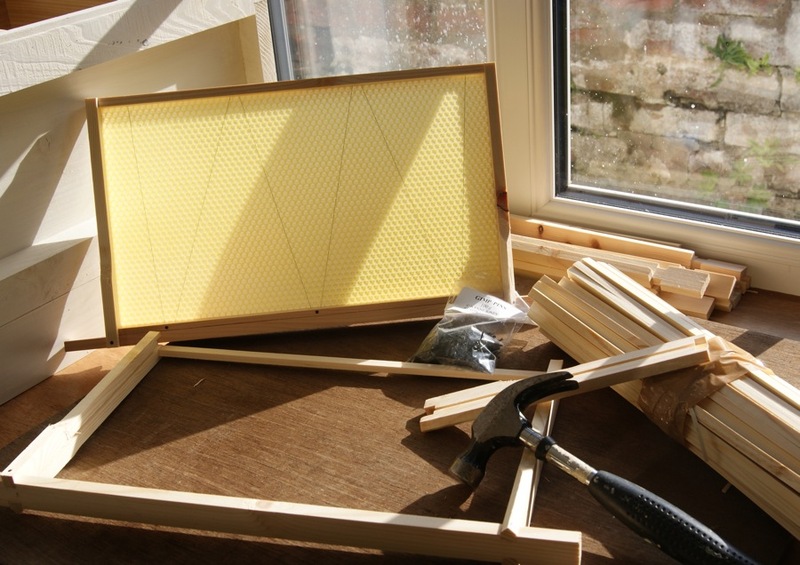 Each frame can hold 5 – 6 lbs of honey so the wax foundation is reinforced with thin wire. This is a very pleasant job to do, with the lovely smell of beeswax. Just hope I can get some bees soon otherwise the wax dries out and the bees don’t like it. Have assembled the hive. 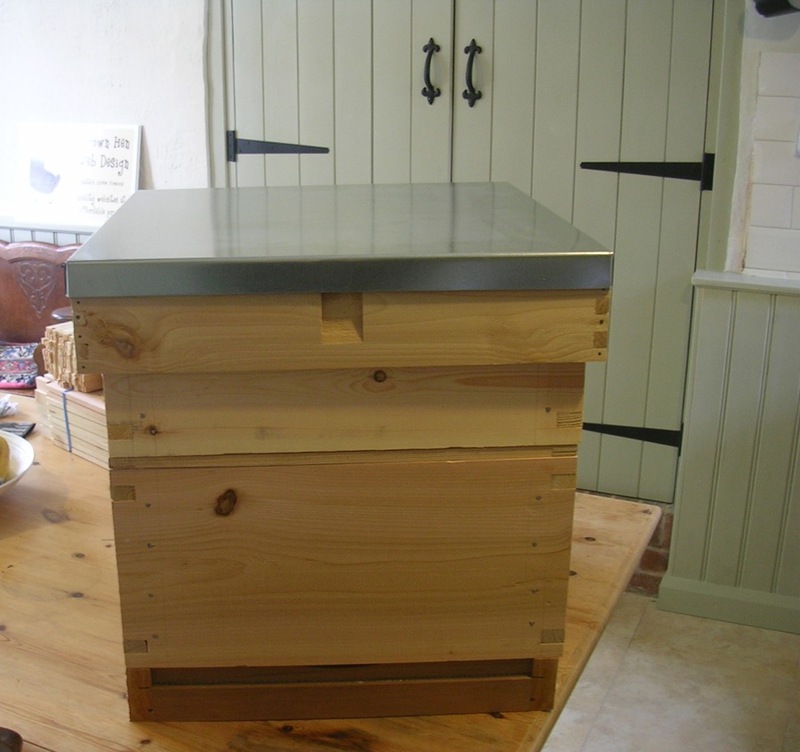 It has one brood box and a shallower super for honey. Just needs a coat of paint now. We’re lucky to have Wynne Jones beekeeping supplies nearby so I can just pop in after my welsh lesson to pick up what I need. I’ve started with one brood box and a couple of supers. 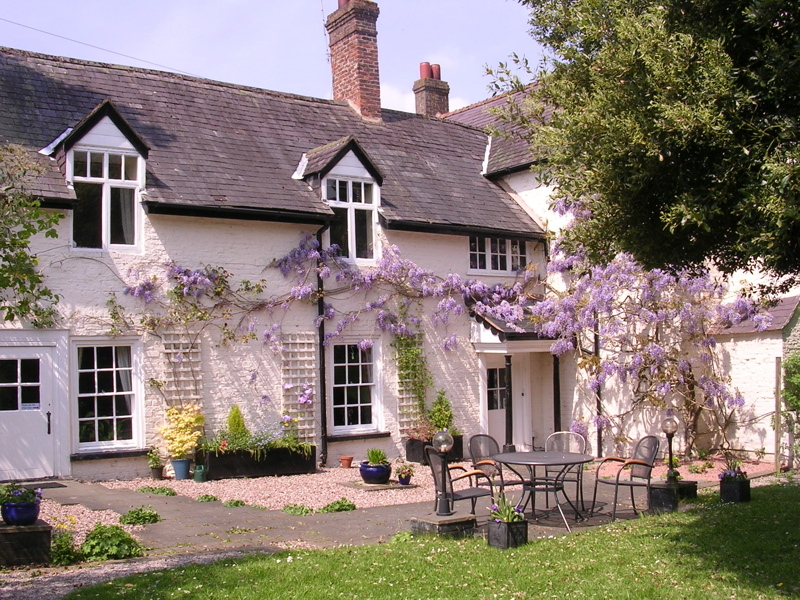 The brood box is where the queen lives and lays her eggs, tended by the worker bees. As the bees increase in number, they will need more space to store honey so you put on an extra box called a super. This is shallower than the brood box so it won’t get too heavy when full of honey.